Posted on October 1, 2013 at 20:38. In response to customer requests, Hope Industrial is now offering DC versions of our 19″ and 23″ industrial monitors and touch screens. All DC units include a pluggable industrial terminal block and an input range of 9.6 to 36.6 VDC. 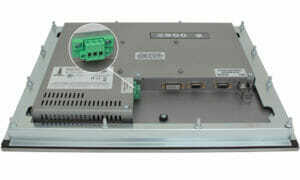 DC units include an AC-to-DC power supply provided for bench testing. These models are ideal for telecommunications, utilities and transportation applications.